Let me just get on with this… I’m in one of THOSE moods. Back in the day when I had hair and was pastoring small SBC churches in Texas, I had a knack for soul winning. I had been well trained even before I went to seminary because nickels, noses, and souls dominate most agendas in the evangelical church. When I was just a “layperson” (sounds lame doesn’t it) I would knock on doors for a couple of hours every Wednesday night and sometimes on Sunday afternoon. My pockets would be full of The Four Spiritual Laws or the Roman Road tracts and I could whip out one of those bad boys if you cracked the door a half-inch. I have no idea how many people accepted Jesus, got baptized, or joined the church because of my efforts? I would have to say I probably made hundreds of presentations, if not nearer to a thousand. That was my job. Honestly, it was on my heart to do it and people got excited when God was moving. Good preacher boys were taught that it was part of our responsibility to fulfill the Great Commission. Although the names and numbers are no longer clear to me, here is what IS certain: NOT EVERYONE SAID, “YES” TO JESUS EVERYTIME. NOT EVERYONE GOT SAVED. NOT EVERYONE JOINED THE CHURCH. Some nights I sucked. Some nights people wouldn’t even come to the door. Other nights I would get cussed at or ridiculed, even threatened to be escorted from the property. But, I don’t remember ever thinking, ‘God, you owe me an explanation’ on why I (we) didn’t win souls every time I (we) knocked on a door. In fact, there was always a good feeling in my spirit about doing the thing that most churchgoers just don’t have the guts or a famed “call” to even make a reasonable attempt. I knew He was with me, even though my knees were shaking. It’s not a “play it safe” way to roll in evangelical systems, just acceptably admired in that culture. God still cares about souls and push-back is a part of the deal. Rejection was to be expected and rejection happened, but I’d knock on the next door anyway. Many a night I drove home thinking, “What the heck is wrong with me? Why do I keep doing this? Is it really worth it?” And, when someone got saved… man-alive did WE ever CELEBRATE and cheer in great joy! When nothing happened, God was still given praise and we’d gear up and rededicate ourselves to press into faith and hope, only to trust for more good things to come on the next attempts! You just kept going no matter what! So, my Tribe pushes the envelope of FAITH in a different way. We ask for the miraculous, signs and wonders; and again I notice that not everyone has the stomach for this kind of “spirit”-uality. Why? Because… ultimately, WE ARE NOT IN CONTROL IN THIS ARENA! There are no formulas and it can get messy. Not to get too far out there with all the crazies, the damn devil does get pissed when we start messing around with the status quo. So, we boldly declare that God is able, anyway. We believe that God is willing. We hope and trust that God sees the need. Unashamedly, we ask, pray, worship, anoint, consume and risk it all; believing that God WILL move mightily and show HIS POWER on behalf of our friends, family, community and tribe. We see this as our cultural norm and responsibility. So, we joyfully take whatever we get from the Lord and push past all the resistance we get in the spirit-realm! It doesn’t touch our resolve to bring the “fruitfulness of the garden to the barrenness of the earth”! That is what we signed up for! Not a prearranged agreement with sterile expressions. We said we want KINGDOM… the real deal… the rumor that we’ve always known! The soul-winner knocks again, and again, and again, and again. We admire them for their efforts; or at least the evangelical church does. So why is it so unusual or strange for us to keep knocking on the door of health and healing? Would it be the fear of man, disappointment, or our aversion to looking foolish before the LORD? That sort of sounds like pride doesn’t it? Fear that God’s name or reputation will be diminished? That is total nonsense! The devil will roar and devils of intimidation desire to label us all with their religious euphemisms and silly tags, but turn a deaf ear! The blood of Christ still saves! His blood washes us clean of the guilt and stain of sin! His blood makes us whole! How do we know this? We’re looking at you… LIVING PROOF! Beloved, we chose to get into this fight. You said, we said, “We want Kingdom!” So, let’s rumble! Fear not and press in. Push-back is only a reminder that damage was done. Know that mighty things have moved and shifted in the Spirit and natural realm because of Monday night. Seed was planted for a future harvest of supernatural faith. Only God knows the real truth and expanse of it all! Let’s continue to agree together that WE WALK BY FAITH, NOT BY SIGHT! That is the part of all this that He calls righteous and good. another easter, done and dusted? 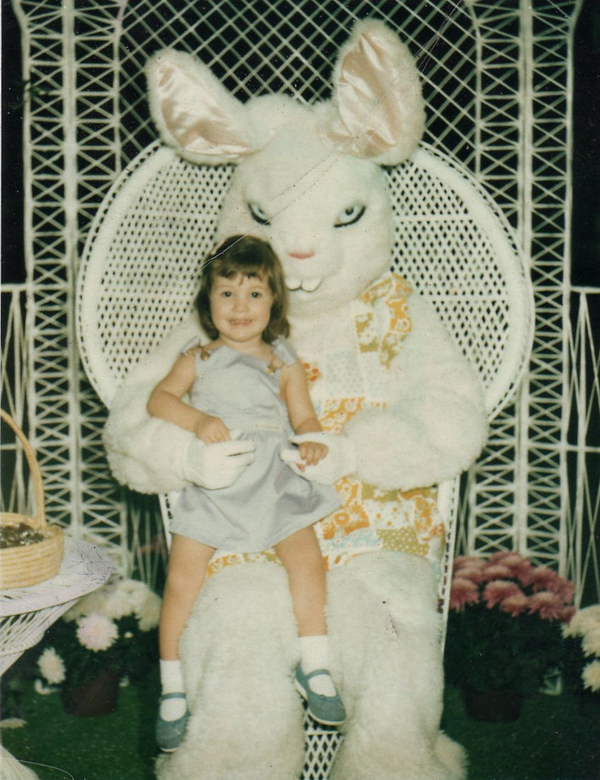 So, you petted the creepy bunny, you’ve almost detoxed from the self-induced sugar coma, the new duds are now crumpled at the bottom of your closet, you went to church, sang the great resurrection songs, declared the great resurrection truths and heard another great sermon on the resurrection. What’s different now…………….. in you? Are you more full of faith? Are your expectations for today any different than yesterday? What about your way… has it changed? What else did you see? Is your Easter done and dusted until next Spring? You cannot see Jesus until you have believed in him. “When she had said this, she turned around and saw Jesus standing there, and did not know that it was Jesus. Jesus said to her, ‘Woman, why are you weeping? Whom are you seeking?’ Supposing Him to be the gardener, she said to Him, ‘Sir, if you have carried Him away, tell me where you have laid Him, and I will take Him away.’ Jesus said to her, ‘Mary!’ She turned and said to Him in Hebrew, ‘Rabboni!’ (which means, Teacher)”; “Mary Magdalene came, announcing to the disciples, ‘I have seen the Lord,’ and that He had said these things to her” John 20: 15-16, 18, NAS. If you accept that there was a Resurrection, that will not necessarily lead to faith. But if you receive the gift of faith, you will necessarily experience the resurrection. “Jesus knew that they wished to question Him, and He said to them, ‘Are you deliberating together about this, that I said, ‘A little while, and you will not see Me, and again a little while, and you will see Me’? Truly, truly, I say to you, that you will weep and lament, but the world will rejoice; you will grieve, but your grief will be turned into joy’” John 16:19-20, NAS. We cannot see love itself, but we can see what happens to those who have been loved (There is a massive difference in what manifest in a person’s life based on whether or not they believe, accept, receive and give love. It’s even more true when it is His love! -MDP-). We can see the power and gentleness of those who let themselves be loved by Jesus. We know that there is endless life welling up within us. We know that when we dare to look at others with “unveiled” faces, they begin “reflecting like mirrors the brightness of the Lord and all grow brighter and brighter as we are turned into the image that we reflect; this is the work of the Lord who is Spirit… And where the Spirit of the Lord is, there is FREEDOM!” 2 Corinthians 3:17-18, JBV. Easter is over? Not hardly. Just beginning! 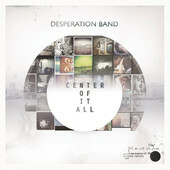 Our son by marriage, Jon Egan (Paige’s babies daddy) has been involved in a new album project for The Desperation Band. Today is the culmination of lots and lots of hard work, prayer, intense spiritual warfare and renewed joy! We are very proud of the commitment Jon and Paige have made to get this music out into the world! CLICK HERE TO GO DIRECTLY TO THE ITUNES LINK!! !